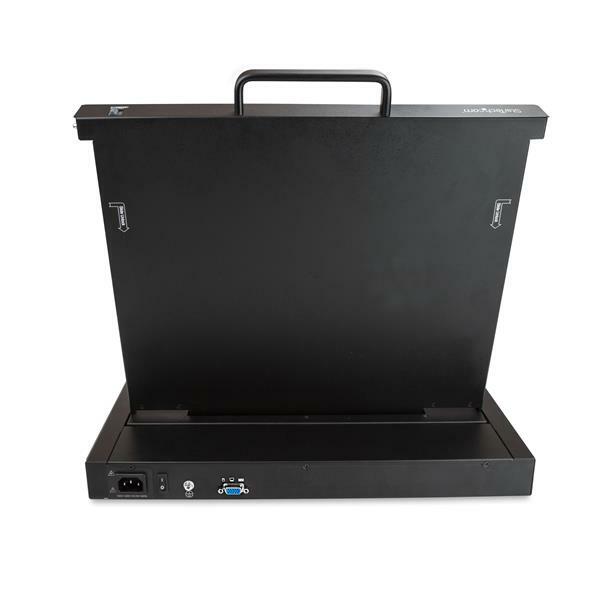 Providing centralized control of your PC, server, or KVM switch, this single-port rackmount KVM console gives you easy access to your connected system. 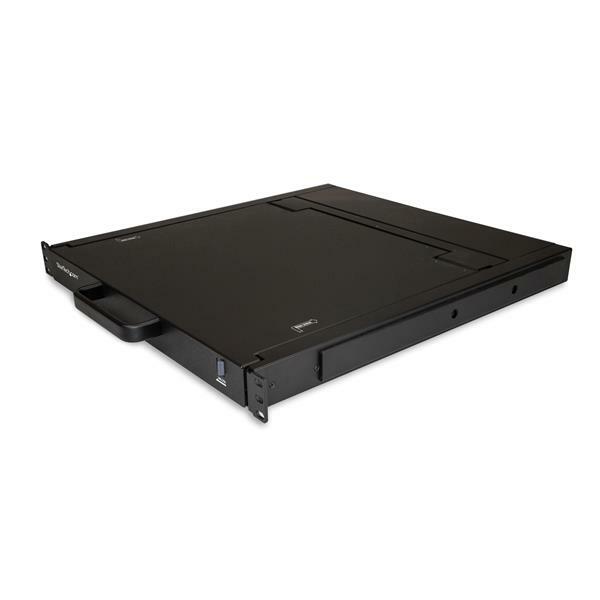 With a minimal footprint, it mounts in a server rack or cabinet using only 1U of rack space. 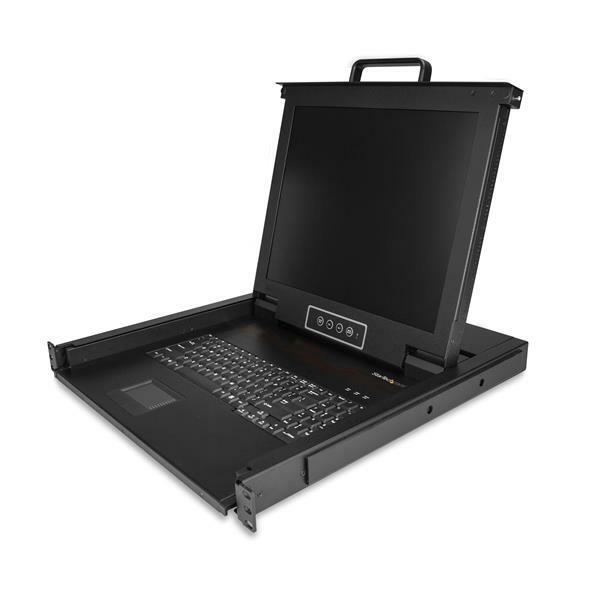 The 1U rackmount console features a built-in keyboard, a touchpad for intuitive control, and a 17-inch LCD display that supports resolutions up to 1280x1024. 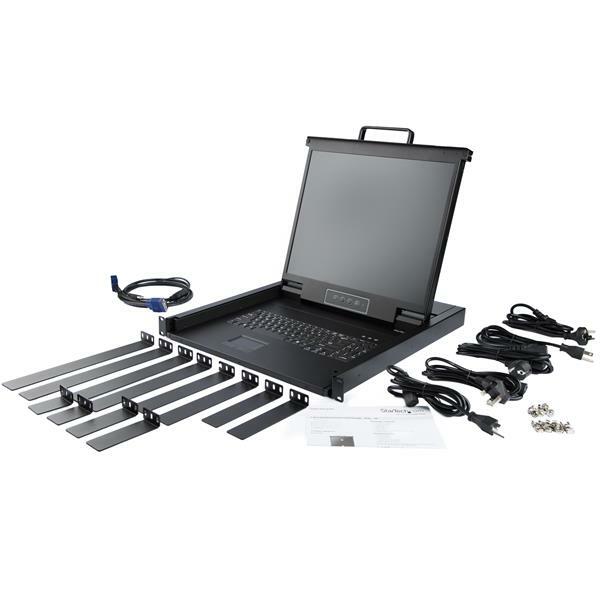 The rack console features a single-port KVM module, which can be connected directly to a server or PC, or to a KVM switch for access to multiple systems. The KVM module offers the flexibility you need for easily integrating the console into your existing server infrastructure. 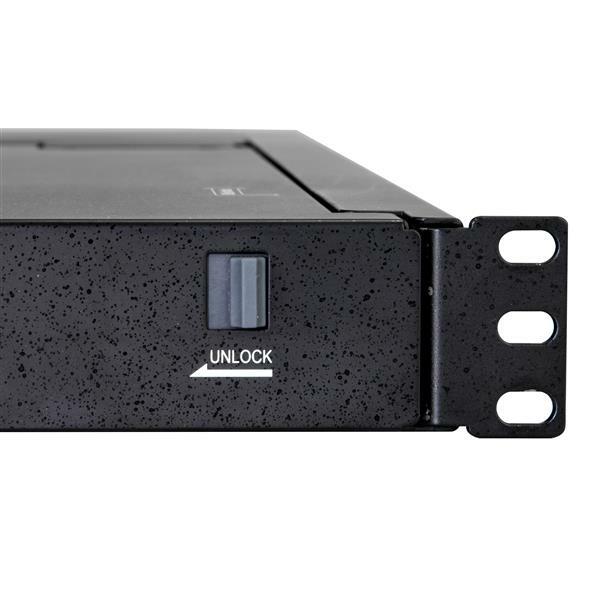 Rack consoles provide convenient, rack-mounted control options for single servers or entire server rooms. 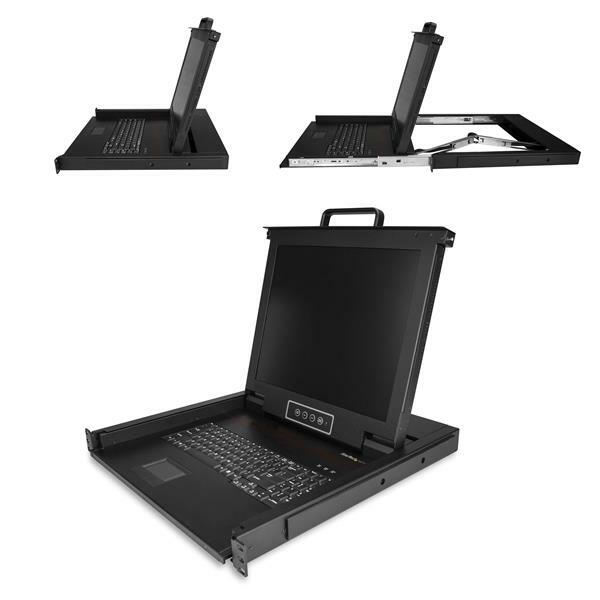 KVM consoles include LCD display, keyboard, and trackpad, all sliding into 1U of rack space. RKCONS1701 is backed by a StarTech.com 2-year warranty and free lifetime technical support.